The Basement Watchdog Emergency Battery Backup Sump Pump can be easily installed in either a normal sized or narrow sump pit and automatically begins pumping during power outages, when the main pump fails or when water flow exceeds the capacity of the main pump. Its unique monitoring system sounds an alarm when maintenance is needed or a problem arises. A display panel indicator light will identify the cause of the alarm and the proper corrective action. The dual float switch provides double the protection and will activate the backup pump when either float is raised. Battery not included. Centrifugal pump with two inch hose kit Koshin centrifugal pumps are designed with cast iron impellers and volutes for long operating life. 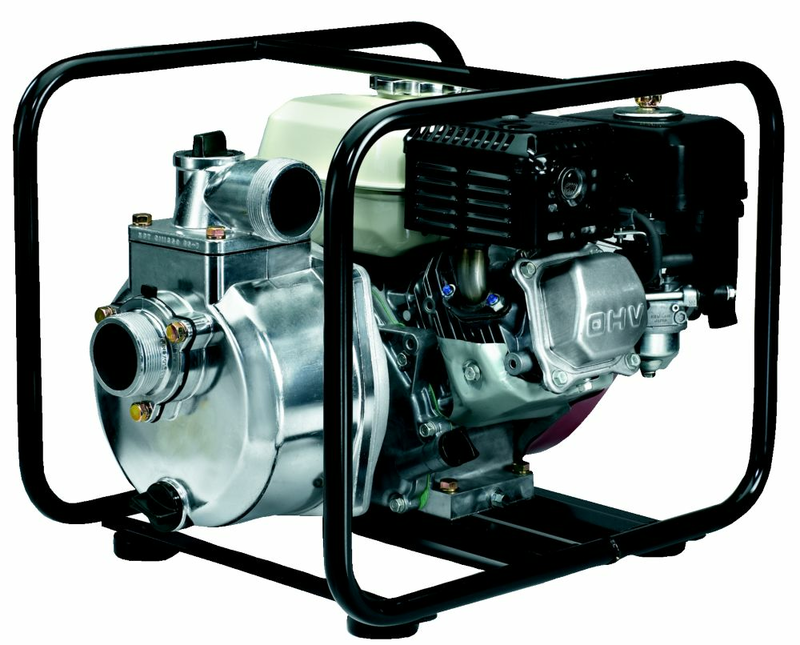 Manufactured with low oil-sensing Honda engines and aluminum pump casing for light weight portability, they will provide optimal performance for all of your industrial dewatering needs, including manhole and vault draining, landscaping, irrigation, and other general construction applications.